The Ides of March has been my musical family since we formed way back in 1964. Larry Millas, Bob Bergland, Mike Borch, the Core Four as we call ourselves have played 1000s of shows through years on bills with some of the biggest in the world- Led Zepplin, the Grateful Dead, Janis Joplin and the Allman Brotthers to name just a few. Our 1970 smash, Vehicle flew to the top of the charts and can still be heard around the world today. With the addition of Scott May On Hammond organ and the Ides brass we are about to release our first album in 10 years- Play On. And that’s what we will be doing for years to come- Play On and On and On! I created my American/Roots rock band as an extension of my 2016 release, The Songs. On this album, along with my producer, Fred Mollin (America, Jimmy Webb, Johnny Mathis and more) we set out to reimagine some of my biggest hits in a more stripped down, intimate style. To do this, Larry Millas, my chief engineer and fellow Ide of March and I, traveled down to Nashville to work at the Sound Emporium to work with some of Music City’s finest musicians. The band consisted of prodigies on piano, upright bass, banjo, pedal steel, dobro, percussion and drums. When it came time to promote this album with live shows, I chose the very best that Chicago had to offer to reproduce the amazing performances on this album. 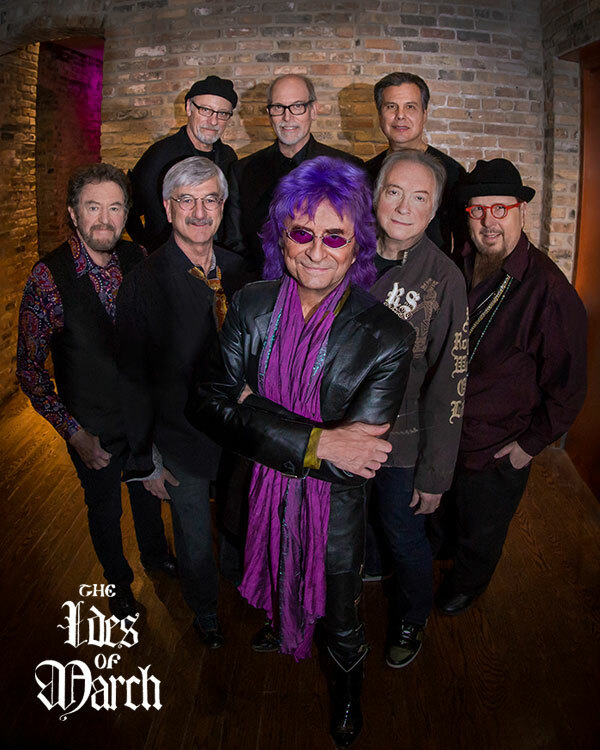 With every show, the audience has given us standing ovations for the songs, the arrangements and the excellence of the players: Colin Peterik on keyboards and vocals, Andy Ohlrich on fiddle and vocals, Pete Smith on Banjo and vocals, Brian Wilke on pedal steel, and Garrett Degnan on upright bass and vocals. We have a blast playing the slow bluesy version of Vehicle, the bluegrass take on Eye of the Tiger, the Tropical Island inflected High On You, Heavy Metal with just acoustic guitar and harmonica (and Kelly Keagy of Night Ranger doing the vocal duet) and two brand new songs, The Same Muse and Miracle at Ground Zero. This is a fun show. 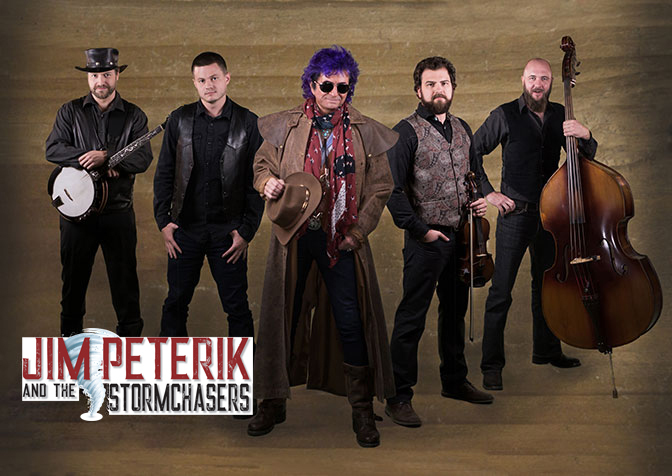 Hope to see you out at the next Stormchasers show! World Stage is a concept I created soon after I parted ways with band I was with for 17 years, Survivor. Even though I am a performer and recording artist myself, I am first and foremost a fan of great music and the people behind the hits. In that spirit I imagined an album and associated shows that spotlighted some of the great artists I had toured with, wrote with of were simple friends and fans of through my many years in rock & roll. The first full scale show at the Norris Center in St. Charles, Illinois, stands as a landmark of my career featuring The Ides Of March, Don Barnes of 38 Special, Kevin Cronin of REO Speedwagon, Kelly Keagy of Night Ranger, Kevin Chalfant of The Storm, Leslie Hunt, Cathy Richardson and more. The show ran four hours and those in the sold out house are still raving about it. 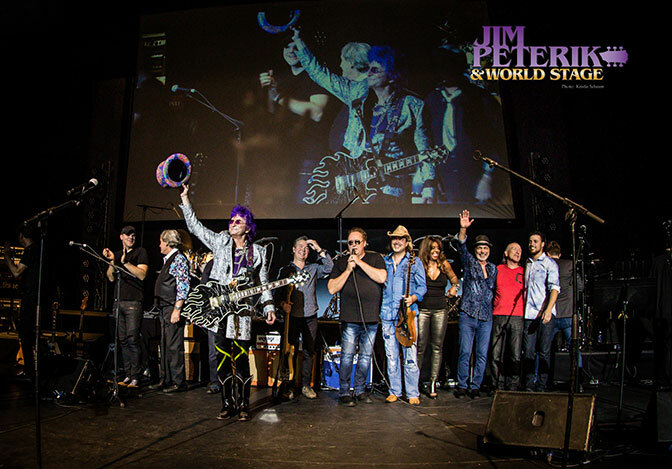 Every year since then we have done show every year with an ever shifting roster of super stars including my son Colin Peterik and others- all sell outs to a public hungry for great melodic rock. This year World Stage is commemorating it’s 20th anniversary with a brand new album on Frontiers called Winds Of Change. It features many of the artists from that very first show, plus some new additions: Dennis Deyoung of Styx fame, Jason Scheff of Chicago fame, Gunnar and Mathew Nelson, Toby Hitchcock of Pride of Lions, the Swedish stars- Work Of Art, Mike Reno of Loverboy, and a previously unreleased gem by the late great Jimi Jamison, and Danny Vaughn of Tyketto. The World Stage band includes some of the finest musicians and singers Chicago has to offer. 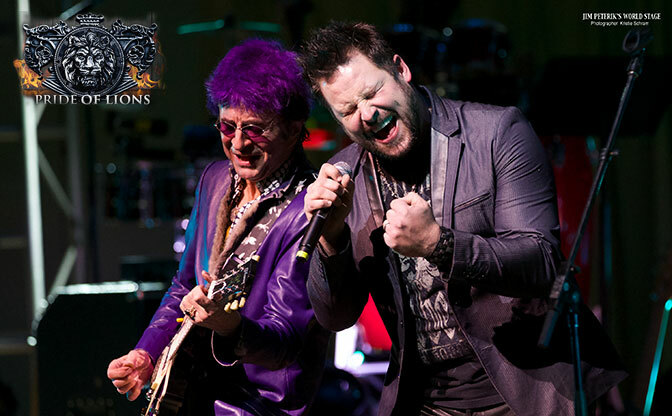 Pride of Lions is yours truly, Jim Peterik and singer Toby Hitchcock. Together with the members of the Pride of Lions band: Eddie Breckenfeld- drums, Klem Hayes- bass, Mike Aquino- guitar, and Christian Cullen on keyboards, we have created a sound all our own. 2017 saw the release of Fearless, Pride of Lion’s sixth album on Frontiers. Together we have toured the world, most notably performing a show for a live album in Brussels as a part of their famous Lokerse Feesten. 20,000 fans got to hear the powerful sound of soaring melodies meeting a driving beat and the multi- octave range of Toby Hitchcock. When I’d get back home from a long tour with Survivor, the perfect way with my wife Karen was to listen to some of our favorite New Age/ Smooth Jazz artists of the day. Some of our favorites were Keiko Matsui, Dave Grusin. David Benoit. Spyo Gyra and perhaps our very favorite- Acoustic Alchemy. One day Karen heard me doodling at the piano playing some music that sounded nothing like the songs I had been creating for The Ides Of March and Survivor. With her passionate encouragement I created Lifeforce and began a wing of my performing and recording carreer that survives to this day. The first self- titled album- Jim Peterik’s Lifeforce established to brand with original smooth jazz instrumentals, jazzy remakes of some of my most iconic songs such as Eye of the Tiger, The Search Is Over and Vehicle. The album also introduced the smooth jazz world to a stunning vocalist/ songwriter named Lisa McClowry who would be a part of all Lifeforce releases. The album got rave reviews and airplay on MOR and Smooth jazz radio formats. The follow up CD, Forces At Play continued the trademark sound upping the ante with guest artists from the smooth jazz world: Mindi Abair, Lisa McClowry, Chielli Minucci, Steve Cole, Acoustic Alchemy, David Pack, Blake Aaron, Jessy J, Nick Colionne, Steve Oliver, Marzette Griffith, Steve Eisen to name just a few. Surely one of the premier singers to come out of Chicago, I met Lisa McClowry at a book signing I was doing to promote my just released Songwriting for Dummies back in 2003. She came up to me after the presentation and we chatted a bit about some friends we had in common. Then she asked me if she could send me her demo tape. I usually don’t accept tapes but I took a chance and I’m glad I did! 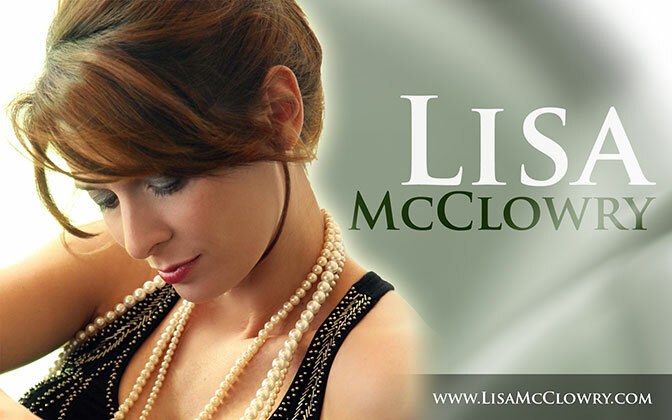 This was the beginning of our two releases, the self- titled Lisa McClowry and our second CD, Lisa McClowry Sings Acoustic Alchemy in which I got permission to reimagine the instrumentals of Acoustic Alchemy by adding original lyrics and Lisa’s expressive vocals. These releases were backed up by prestigious live performances at smooth jazz venues such as Chicago’s Montrose room and the Naperville Smooth Jazz Fest. These two releases have been made available again in a newly remastered format.